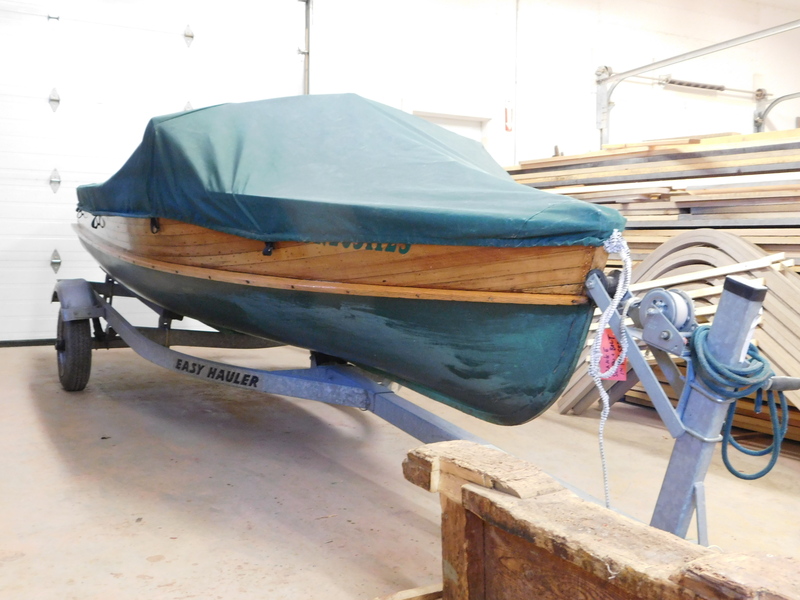 Giesler Boats has been producing cedar-strip watercraft for almost 90 years. 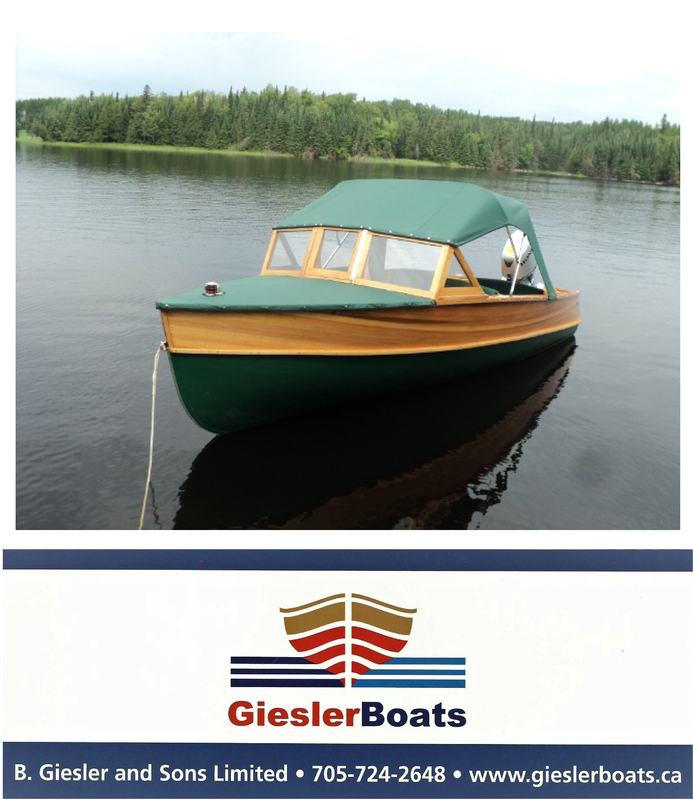 Giesler Boats: A family enterprise since 1927! This year Giesler manufactured 50 cedar-strip boats of varying sizes and styles. 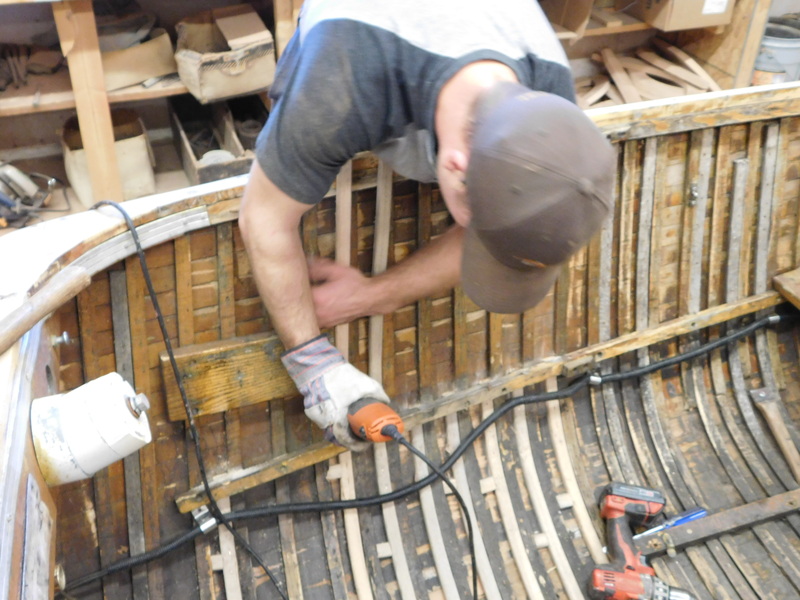 Not many wooden boat builders can boast an 89 year history. 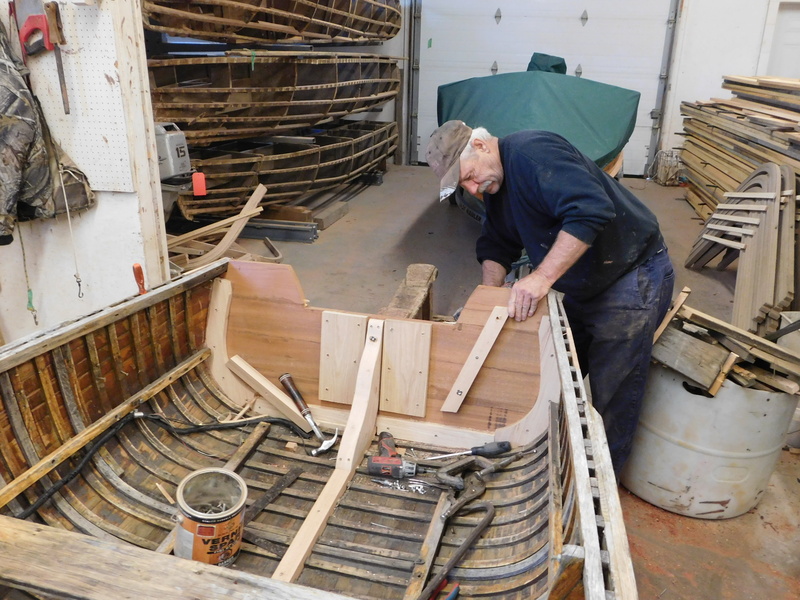 Yet Giesler Boats, of Powassan, Ontario, can do just that…having been in the business of manufacturing cedar-strip watercraft for almost nine decades. Very few builders can claim the numbers that Giesler notches up. 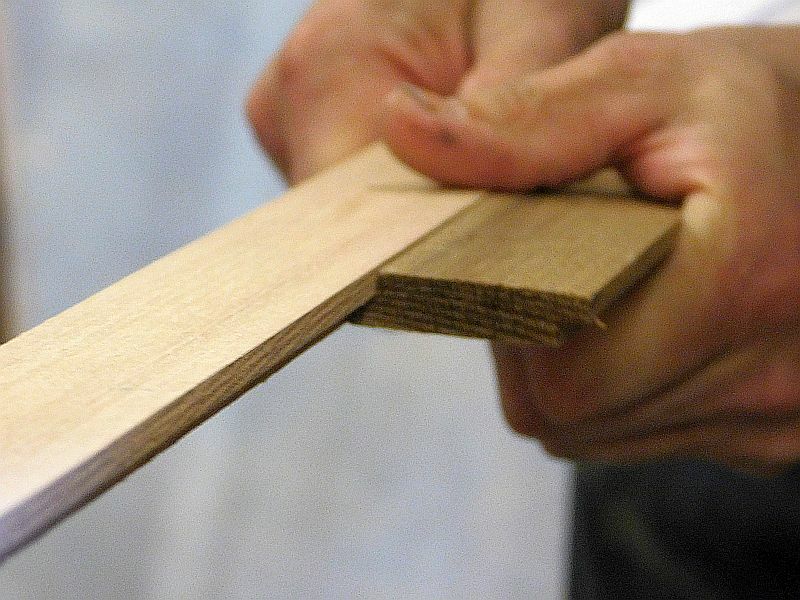 Gerry Giesler, current owner/manager of the family enterprise, revealed in a recent visit that 50 cedar-strip vesssels of varying styles and sizes left the shop this year. With some twenty-plus models to choose from, including everything from canoes to big water boats, customers certainly should be able to find a vessel that suits their needs. Here a new sistered rib is installed and trimmed. Spring and summer are generally reserved for new builds, while the fall and winter months cater to repair work. Currently, some thirty boats are in line for refurbishment at the shop. 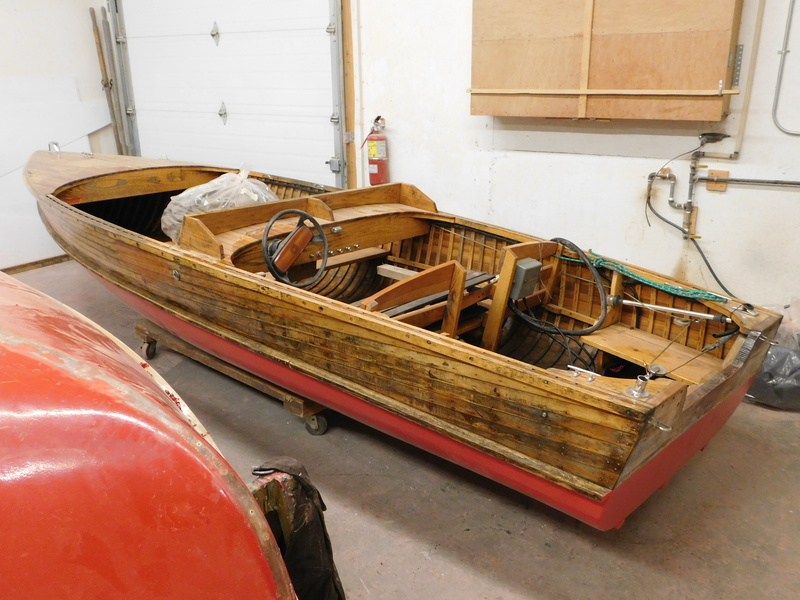 Gerry notes that wooden canoes,row boats and power boats are particularly popular in northern regions of Ontario, (and other somewhat remote areas) especially for fishing and hunt camps. Why? They can be repaired on the spot, if damaged. A can of epoxy and fibreglass cloth can perform wonders at the bottom of a rapid, whereas an aluminum boat would likely have to be shipped out for repair work. The light weight of a cedar-strip boat is also a great bonus when trailering. 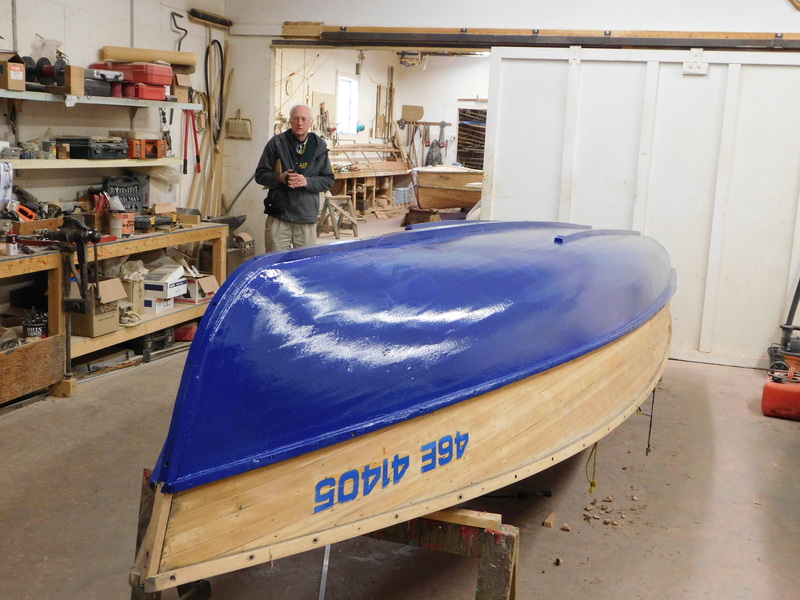 If a customer requests it, an epoxy-fibreglass cloth bottom will be installed on a Giesler. Prices for a Giesler range from approxiamtely $2500 CDN for a basic canoe to $6,750 for a “bare bones ” 18 foot Georgian Bay model. (2016 price list CDN ) not including a motor. Upgrades to all models are available. Over the years, Gerry and his staff have amassed a wealth of knowledge and experience that has helped to refine the construction and finishing techniques of Giesler Boats. We offer a hearty “congratulations” to Gerry and his staff, and wish the company every success in the next ninety years of operation. (For more information on Giesler Boats, stay tuned for the upcoming videos. Many thanks to Ray Richards for the photographs in this post).